Blockchain has so many facilities and the best thing is that it gets rid of the middlemen altogether. So, you won’t have to pay any intermediate anymore, not while you’re on blockchain network anyway. What if this blockchain technology introduces smart contracts that change the very nature of how we do business today? This system really saves up a lot of time. They have their fair share of problems. However, they are one of the cheaper, faster and more secure methods than all traditional means. It is the sole reason for banks or governments not being so fond of this awesome tech. Back in 1994, a legal scholar Nick Szabo first peached the idea of smart contracts. Later in 1998, he invented another digital currency called ‘Bit Gold.’ This is way before Bitcoin ever existed. This contract was self-executing and converted into codes to perform tasks. In Nick’s format, the system was supervised by other computers on the network and moreover, they would be able to create a feedback system such as transaction of money or product. The idea is so similar to nowadays smart contract and blockchain technology that many people thought Nick is the long-lost Satoshi Nakamoto (Founder of Bitcoin)! Crazy theory, right? But unfortunately not true. If you are thinking about smart contracts or how it developed in the modern world now, then you are in the right place. Because today I’ll be covering the ultimate smart contract guide. So, stay tuned! Chapter-1: What are Smart Contracts? Chapter-2: How Will Smart Contracts Affect Your Life? Chapter-3: What Makes Smart Contracts So Desirable? Chapter-6: How Do Smart Contracts Work? Chapter-7: What Are the Advantages of Smart Contracts? Chapter-10: Why Are People So Hyped About Smart Contracts Blockchain? Chapter-11: Why Are Smart Contracts Are Not Yet Mainstream? Chapter-13: 6 Smart Contract Platforms that Would Amaze You for Sure! Chapter-15: Cyber-Attacks and Hackers: How Smart Are Smart Contracts Truly? Chapter 1: What are Smart Contracts? Let’s start with what exactly smart contracts is. Smart contracts are just like usual contracts that will let you exchange property, money, shares or anything valuable securely and transparently with a little twist. With smart contracts, you won’t be needing any middleman to do your deed. That’s the primary difference between regular contracts and smart contracts. Let me explain it with an example. Think of it as a vending machine. Usually, for any extra payment such as lawyers, or hospitals you’d have to pay them and wait for the service or documents. But not for this one. With this new technology, you’ll be just putting your Bitcoin in a vending machine and get the candy that comes out. The best part is that it won’t only define the rules, but it will enforce it too! According to a programmer of Ethereum, the asset or currency gets transformed into a program. The program runs the code and evaluates based on the tasks that whether this asset should go to the other person or back to its owner. This saves a lot of time in the process, and everything about the project stays fair to both parties. Suppose Todd wants to buy a car from Jamie. He can easily pay Jamie using blockchain network and through cryptocurrency. Todd will get a virtual receipt, and it will get included in the smart contract. After Jamie gives you the key to your car within the specified date, Todd releases the payment. If Jamie didn’t give you the key, then the network will call in a refund. However, if Jamie gave you the key within the specified time, then the key and the fee both will be held up until the specified date. Once it has all the components to be released, it will discharge the key to Todd and the fee to Jamie. The system works on the if-then clause, and no one can hack into the system without alerting the other party. If anyone tried to get access to the code, then every party linked to the contract will get alerted immediately. The system is witnessed by hundreds, and you can easily trust it to be faultless to the core. If Jaime gives the key, he will get the payment, no doubt there and Todd will get the key too. So, both parties win, and the contract gets automatically cancelled after meeting certain rules. The process is really simple. You can use this awesome tech for anything such as breach contracts, credit enforcement, financial services, insurance premium, property law and many more. Chapter 2: How Will Smart Contracts Affect Your Life? Let me give you a situation to deal with first. Imagine that you want to sell a house. The process is not that easy; you’ll need to deal with a lot of people, not to mention all those paperwork. All of these makes the selling process even more complicated. That’s why people go for a real estate agent who will deal with all those problems, and you can relax and make the sell without any hassles. However, the real estate agents will take 7% of your total sale rate, which can be a huge deal for many people. The Real estate agency will involve a form of escrow service to make sure you get your house without being ripped off or anything. Smart contracts can easily come in handy in these situations. The tech would get rid of the need for the middleman (the real estate agent) and the issue with the trust. This way you won’t have to fear for your money or the property itself. After passing the ownership, the buyer will release the money, and you’ll be able to sell your house without paying any extra fees. This is just one case; there are lots more. They will facilitate any form of asset and money and make sure you get the desired product. Isn’t this system quite easy? This new technology has the potential to change the world and is currently doing so. Chapter 3: What Makes Smart Contracts So Desirable? You might have some questions like why you would use smart contracts or how they’re going to help you. Well, here you will find all your answers, and you’re going to love the smart contract. Smart contracts examples will amaze you with their modern and digital applications. The most annoying part is when any third person or any third party interrupt in your decision or agreement. With the smart contracts, there will be no interruption of any third person. It will be only you taking all your choices and making any deal yourself. You don’t have to wait for the confirmation from any lawyer or broker. Thus the total process will be completely free from manipulation. Nowadays, hacking has become an enormous problem. Everyone wants to keep their documents safe from piracy. The smart contract will give you hacking free completely safe websites for your documents. They will encrypt the websites with the highest level coding which would be almost impossible to crack and hack. Thus they’re going to be one of the most secure places for your documents. For processing all the documents and paperwork manually, it must take some time usually. That’s what the manual processing does. But, the smart contracts blockchain does everything digitally. They process every single task automatically with software codes and internet. It is going to save a lot of time. They will complete the whole processing within a blink of your eyes. There will be no manual processing. When there’s any broker or intermediary or any other third party, you have to pay them a little more. But with a smart contract, there will be no third person or middlemen. They eliminate the massive chain of intermediary. So, you can save that money efficiently. Thus, blockchain will help you save money. You will need to pay to observe your transactions. You know very well that when you are filling in any forms manually, there are possibilities to have some errors. But, an automated smart contract will complete the whole process automatically, and there will be no single error. There will be a complete record with every single detail of all the terms and conditions. So, you will get all your processing done with an error-free, faster and cheaper manner. Smart contract suits best to those industries where an automatic executing process will be useful. Such industries are healthcare, banking, real estate and insurance. 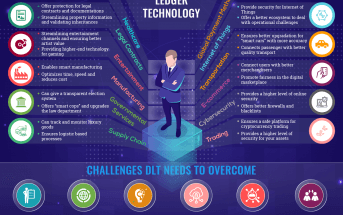 In these industries, smart contracts blockchain will suit best, and by adopting this technology, they will be benefited a lot. They execute all the process automatically using algorithms, rules and intelligent coding. Industries where they provide services like food, beverages, and hospitality, the smart contract may not be so helpful there. The developers are looking forward with the smart contracts blockchain to move towards an advanced future. They are going to merge the commodity futures contracts with the blockchain technology. Commodity futures contracts are a different type of financial derivatives. Customers and the suppliers can use them so that they can verge against the fluctuations of the future price. People are trading them mostly on a few numbers of centralized exchanges like Eurex or CME. The activities of these exchanges are like the broker or the middlemen and for that its users have to pay high fees for using them. Developers are highly excited about merging Commodity futures contracts with the blockchain platform and the smart contract. Thus, they will be able to control and regulate the price fluctuating more simply. Soon, there will be a huge revolution in the business world. You must want to know where you can use the smart contracts blockchain. There are plenty of places where smart contracts applications are great to use. 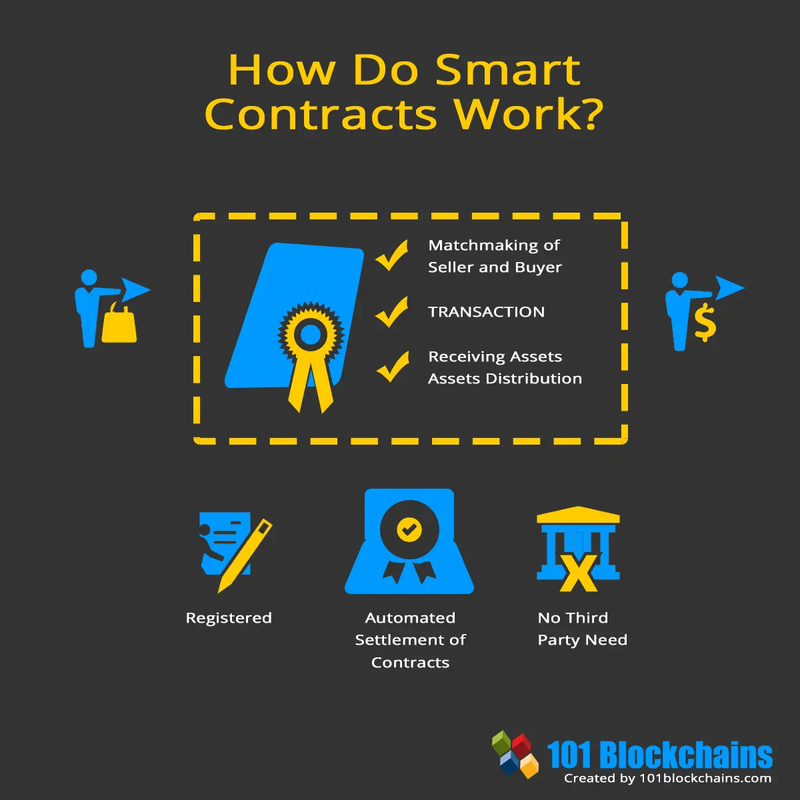 The smart contract is possessing the traditional system of records and agreements. 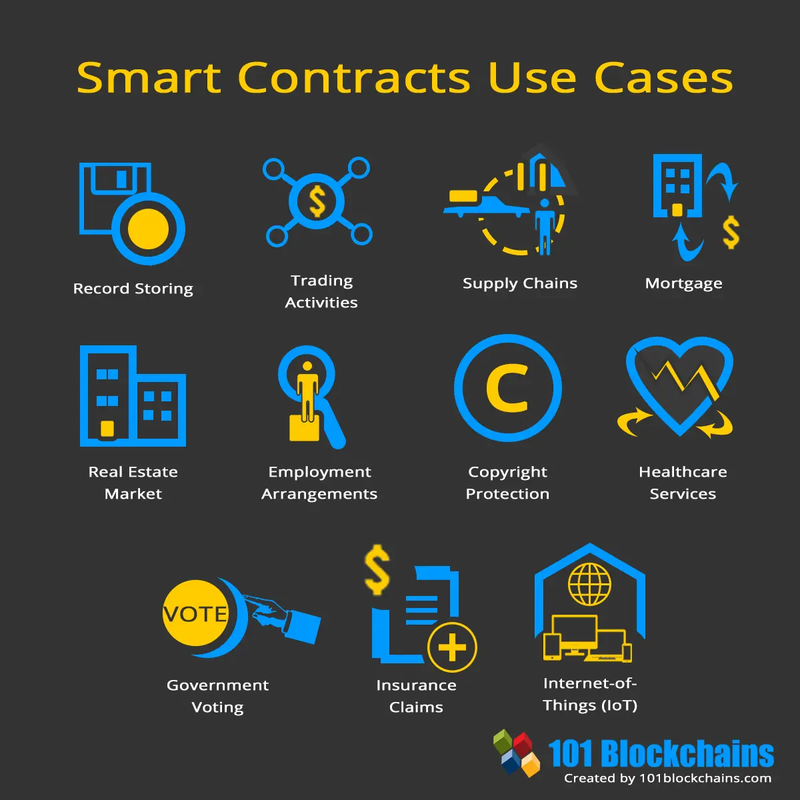 Let’s have a look at the use cases of smart contract. The smart contract comes with the digitalization of the Uniform Commercial Code filling. Thus, they can store records, release and renew them automatically whenever they need. Moreover, if there’s any necessity or requirement of removing any record permanently by the law, they can also do that automatically. The traditional trading financial activities always required a broker or a middleman. This made the whole process lengthy and a little costly. The smart contract eliminates this middlemen part of the trading finance. They use either the Letter of Credit methods or the trade payment initiation of transmission. Thus they are making the whole trading finance process simpler, more efficient and less costly for the buyers and also suppliers. They are making the liquidity better for the financial resources. A smart contract requires flawless industry background and proper legal accusations as well. One of the potential uses of the smart contract is supply chain management. Smart contracts blockchain maintains the whole records for the whole process starting from the material collecting to the product delivery. They record every detail of the entire process along with the concerned persons. Smart contract uses the Internet of Things (IoT) sensors. It can track all the movements of the products every single time of their journey beginning from the manufacturer to the supplier. They also keep records whether the ready products are delivered to their respective customers or not. Even, they hold the history of any lost or late delivery and also their exact destinations. Moreover, every concerned person will be able to check if there is any failure of any stakeholder to fulfil the terms and conditions of the contracts. The smart contract is making the whole supply chain transparent to its relevant parties. Thus, they are making the supply chain industry advanced and improved. Smart contracts blockchain can be beneficial for another economic area like the mortgage. The process of a mortgage is not that easy. There is a lot of information from both sides of the owner and the mortgagee. At the time of making any mortgage agreement, there must be an estimation of the information about the credit, earnings, expenditures and some other important information. All these things make the procedure complicated, costly and lengthy. With the smart contract technology, all the procedures for getting a mortgage will be so easy, cheap and fast. This technology will handle all the stuff automatically with great care. There will be no confusion, no problem, no extra charge and no complication with a lot of papers. More importantly, all these procedures will be transparent to all the members of the concerned parties. This technology will connect the interested parties to complete the deal by signing off the agreement which is entirely digital and error free. Both the interested parties will know for what they are signing. Another one of the smart contracts applications is the real estate market. Because of the smart technology real estate business has become way easier and simpler. There is no need to have any face to face meeting to finalize any deal. That’s because this smart blockchain technology is completely digitalized. It will complete the whole dealing process digitally without any interruption or error. It just requires the proper information about the property, its owner, and the buyer as well. And also the digital signature of the concerned persons. The smart contract will check if the information is genuine. It will review the information using the identity tracking protocols. Finally, it will receive the payment and state the property to its new owner. Both the employee and the employers expect something from each other. Some can fulfil the expectations and some fail. But, the maximum time none of them doesn’t know what their expectations are. Different companies have their different rules, terms, and conditions. If the employee has no idea about those terms, how they would be able to fulfil them. You will get the solution with the smart contracts examples. This technology will keep all the record of the terms and conditions of the company which the employees must fulfil. Besides, there will be records of all the information and wages of the employees. Everything will be transparent to the respective person. Thus, employees will be able to know their positions and achievement. And they will be able to fulfil their target and maintain a good relationship with their employers and with each other as well. If there will be any changes in the terms and conditions, everyone will be able to see them. Smart contracts blockchain can preserve the content of the copyright. When a group works together, there might be some confusions about the responsibilities and the rights to that work. If there will be a complete record of all the responsibilities and the rights along with the respective persons, it will be straightforward for the team members to cooperate with each other. Smart contract technology can make the teamwork easy for you. It will keep all the tracks of the collaboration using a decentralized blockchain system. There will be no more doubt about the right and responsibility. You all know it very well that the process for an insurance claim is a very long time process. This is so complicated and irritating for both the customers and the insurance companies. It’s not their fault. The insurance claim requires so many formalities and paperwork to complete. It is a great example of smart contracts applications. Smart contracts blockchain can streamline and modify the whole claiming process with automated technology. It will recognize any condition and state the claim automatically itself. Thus, it will manage the rest of the process without any error. Most of the government are based on the voting system. We do not doubt on the topic that the manual voting systems are not 100% accurate. Most of the voting process is lengthy and inappropriate. A smart contract comes with the ledger-protected voting system. This system provides highly protected coding and higher computing power. It is almost impossible to decode and hack the entire system. Moreover, it will also require a huge computing power. This process will be completely accurate and faster than the manual voting system. Healthcare institutes can also use the smart contract technology as their recording system. In such places, it requires huge information for their service and security purpose. The blockchain technology will be able to keep a large number of records. All the records will be encoded. Only a private key can give access to the records, and only the relevant individuals will get that private key. The ledger can also keep safe all the research work, handle testing reports, drugs and other healthcare supplies management. When smart contracts blockchain work along with the IoT, it becomes stronger, more efficient, and significant. Together they move towards the best and advanced application for the industries. IoT, Internet of Things, makes the smart contract definitely a more powerful technology. They make a powerful network using both hardware and software and make it possible to be applicable in real life. They make the perfect technology being a perfect combination. Chapter 6: How Do Smart Contracts Work? It’s really simple. Just like a vending machine it just requires an amount of cryptocurrency. All you have to do is to put them into the contract along with the information you want to keep as a record. You also have to define the rules, terms, and condition before any contract is ready. A smart contract can work both being single and along with a group of smart contracts. The single one will work independently. The users can set a group of smart contracts examples with each other as they have to depend on each other to complete any task. Some companies already have set a couple of smart contracts blockchain together. They are working automatically depending on each other. This includes three individual parts, or you can also call them objects. The first one is the digital signatures of the concerned parties whether they are interested or not to have the deal. The agreement requires a subject. It is the second object. All the concerned persons must have access to the deal and all the information about it. There would be no hidden condition or information on the contract. Finally, there must be some mathematically described significant terms and conditions. Suitable programming languages will set those terms in the smart contract. Once a deal is ready, every concerned person has to accept and follow its rules and regulations. A smart contract requires a perfect setting to operate correctly. At first, the users must have their unique cryptography code to enable and permit all the transaction procedures which must be suitable for the environment. After that, there must be a trustworthy, automated and decentralized, open database. The smart contracts examples are such a great environment for the technology. And most importantly, all the advanced data of the contracts must be from 100% reliable source. To ensure that, they can use different advanced software and protocols like HTTPS and root SSL security certificates. Chapter 7: What Are the Advantages of Smart Contracts? The smart contracts are replacing the traditional process with their advantages. They already have a lot of advantages. I am sure that they are going to improve more and increase in the future. Let’s see some of the benefits of the smart contract. Smart contracts are entirely transparent to all of their concerned members. Anyone from the relevant persons will have access to see all the terms and conditions of the agreements. If anyone wants any changes, they have to decide it before the contracts are ready. Once the contract is prepared, there will be no argument on this. Now you know that the smart contracts examples are entirely automatic and they have all the information with every single detail. So, it means that there is no chance for any miscommunication or misunderstanding. Every communication among the network will be 100% clear and automatic. There will be no communication gap. 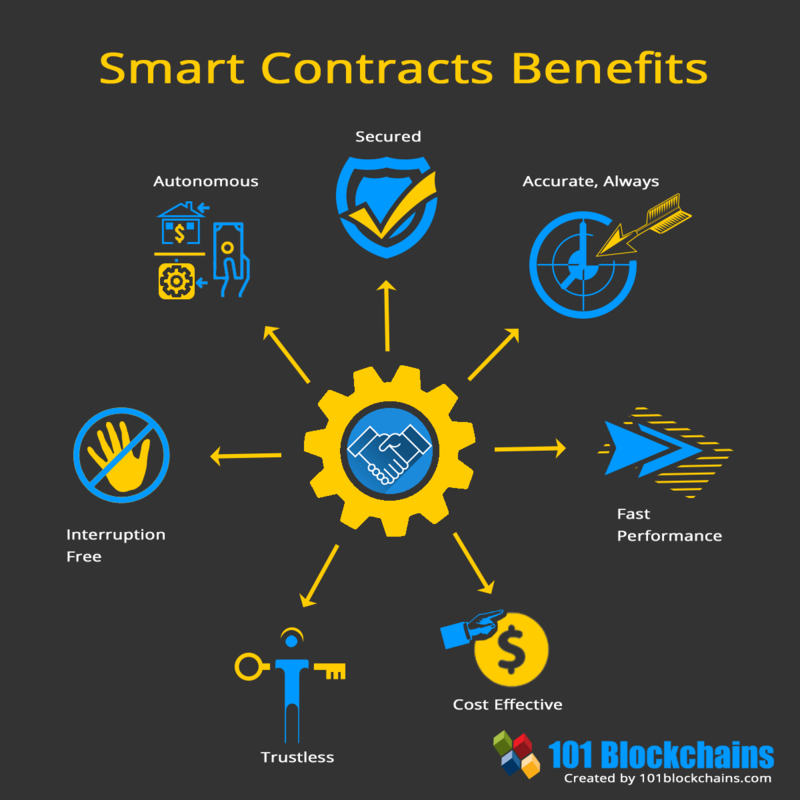 The smart contract can assure you about their efficient operation. The combination of accuracy, speed, and the automated feature will complete the whole contract process efficiently without any fault or any interruption of a middleman. They will process a huge number of transaction with higher efficiency. Smart contracts are contributing to nature by avoiding the paperwork. They are using the virtual world for all of their processing, and thus they are entirely removing the use of paper. It’s a significant contribution to the environment and the world as well. They are making better both the real world and the business world. There’s a probability that bank can lose your documents or accounts. The smart contract always comes with backup. There will be many duplicates of your papers on the blockchain. So, there will be no chance of losing any of them. Smart contracts permanently record all your essential documents with explicit details. Whenever you need any information, you can find them easily in their storage. The most important part is, you can retrieve any of the information if there’s any data loss. You can’t trust anyone blindly that they will never lose your documents, can you? But, you can trust a smart contract for never losing your records as they will encrypt them on a shared ledger. Smart contracts are entirely trustworthy. They execute all their work automatically using their network. So, there will be no fear of losing, manipulating or having any error with your documentation. There will be an entirely trustworthy execution of every process. Smart contracts allow its member to create any agreements on their own. But they have to do this following some rules that will make the deals more significant. There will be no interruption of external courts. You just need to follow all the rules they bind you with. There’s nothing in the world with any difficulty or weakness. The smart contract also has some weakness. Let’s see what they could be. Being transparent is good. But not always. Sometimes, there are some crucial things which require privacy. Some smart contracts examples like Hyperledger provides its users with the private smart contract. But smart contracts examples like Ethereum doesn’t offer that privacy to its users. You know that coding encrypts smart contract technology. And it’s quite a difficult task to decode them. But what if the coders make some mistakes in the code and its users will be in loopholes unintentionally? There will be a question of accuracy. It’s true that there will be error-free processing with the recorded data. But, at the very beginning, there’s a slight possibility to store wrong information. In that case, the whole process will be an error with that false information. Smart contracts blockchain are self-executing. It’s amazing and helpful. But, if a hacker hacked the system by chance, he would be able to conduct any illegal activities which will also execute itself. Smart contracts are changing the world as we speak. After the introduction, they have finally begun to spread their roots throughout the industry realm. As Ethereum was the first one in the field, most of the companies now use Ethereum platform to create a contract. 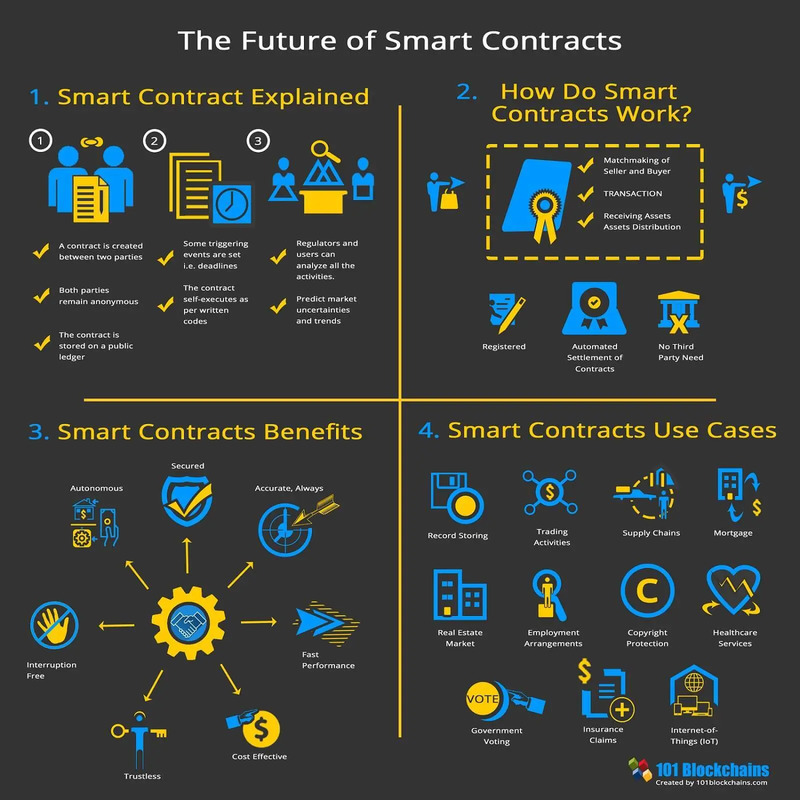 Check out these smart contracts examples, who are already using the new tech to lead in the competitive world. Slock.It is changing the typical ways of the world and economy. All thanks to smart contracts. Many businesses now use Slock.It to ensure that their payments, shares, and rentals are all automated. Slock.It showed the world with their recent Share&Charge collaboration how useful the smart contracts can be. Now with the help of this new tech, the process of paying rent of the electric vehicle charging stations is automated. Slock.It is also developing another network called Universal Sharing Network. It is an open-sourced platform where developers can deploy blockchain applications. After completion, it will be able to add extra third-party objects such as products, services, etc. This startup company is known as the ‘The smart contract creator.’ Why? Well, they provide a platform to help you to build your smart contracts. They already launched a contract wizard with more than 500 people registered on the project. The users will get a pre-made beta template in their platforms to help them build their very own contracts. But what if you don’t know how to code? Don’t worry, with Etherparty you won’t have to. They have pre-made templates of different smart contracts such as real estate agreements, supply chain management, escrow contracts, token creation, contractor agreements and many more. The process is quick and easy, and people would adapt to it rather quickly. AXA is a French airline, who happens to utilize the smart contract fully in their system. The idea is quite simple really. We know how a late flight can spoil a vacation or official tour. But dealing with the compensation is much worse. Getting compensated for late flights is tough, and most importantly sometimes our insurance doesn’t cover it. The reason depends on the cause of the delay, and it can be a headache to get the money back. With the help of Fizzy, you’ll be able to get compensation without any hassles at all. If your flight gets late for more than two hours, you have loaded your airline information into the app; you’ll get a notification. The notification will tell you your compensation options, and after choosing from them, the money will get right into your account. The use of smart contracts examples here gets rid of any losses related to airlines and compensates for losses even outside insurance coverage. The insurance works only with a trigger, and for Frizzy AXA, the trigger is more than two-hour late flight. However, this product is only available in the U.S and Paris for now. They are planning to expand it in late 2018. You will still have to pay a subscription fee. As I mentioned earlier, one of the common use cases of smart contracts is the real estate industry. To make this come true, the company ‘Propy’ is starting to integrate smart contracts into their system. The first transaction happened back in September 2017 where a buyer bought an apartment for $60000 in Ukraine. This type of across border deal can unlock the true potential of the real estate industry along with smart contracts. This is one of the greatest smart contract examples. A user will be able to search for properties and initiate bidding. After going through specific processes, other security options are taken to ensure a fair play. A potential buyer can reserve property with some money and then pay up once the paperwork is done. If for any reason the seller doesn’t want to sell the property, the buyer will get the money back. Every signature or other documents are shared through the app, and it won’t matter where you live. PolySwarm is a one of a kind company, working with the threat intelligence marketplace. Thanks to smart contract blockchain now they will run smoother than ever. Any enterprise or ambassador can post their bounty on the network along with a specified reward. The person who gets it correct is rewarded with their own token Nectar. After evaluation of their actions, the funds are automatically released to the experts. This process allows an expert to get rid of the loopholes of cyber-security and ensures better protection for everyone. Invoice financing is another great way for business owners to get the money from any unpaid invoices. The Invoice buyers will pay upfront money and take over the invoice. After the debtor has enough money to pay off the invoice they get the remaining money. Populous is taking this process to a whole another level. They are currently only localized, but they are slowly taking up the global markets as well. Getting rid of the middleman speeds up the process here. There’s no human error while duplicating the invoice or another form of miscalculations. With the help of Populous after you upload your invoice on the network and define specific terms, the transactions are automatically done with the help of smart contracts blockchain. Chapter 10: Why Are People So Hyped About Smart Contracts Blockchain? Smart contracts are a one of a kind self-executing contacts powered by cryptocurrencies. Every term and condition of the contract is constructed using codes, and the code runs on the blockchain based platform. Every transaction on this network is transparent, traceable and irreversible. On the other hand, a normal contract only outlines those terms but doesn’t quite enforce the relationship. A regular contact might or might not be true to its word, but a smart contract will always be true to the terms. If something falls behind the rules, the contract will automatically take action according to that. So, there’s no chance of mistrust or other unhealthy situations. This makes it impossible to breach and get a special advantage. So, tell me, shouldn’t there me hype surrounding this new technology. The Ethereum smart contracts were the first to build up the market, and it’s only a start. More blockchains are now including this option as smart contracts have become a vital part of the whole blockchain technology. Chapter 11: Why Are Smart Contracts Not Yet Mainstream? Despite all the advantages, smart contracts do have some major drawbacks. The idea is fairly new, and new limitations are introduced now and then. The main letdown is the access. Any user without the knowledge of programming won’t be able to access it as you have to code in the terms. So, for non-programmers, this technology just remains a concept, and nothing else and the proportion of those people are great. It will still need further knowledge to make all the edits of the system and update the code whenever something changes. Smart contracts may save you a lot of money by getting rid of the lawyer or middleman. But they won’t get rid of the fact that you need to be a programmer. Some of the companies have tried to eliminate this problem. However, this problem truly blocks the growth of smart contracts. This is why they aren’t mainstream just yet. The problem is huge, and many developers have tried to get rid of the coding language situation from this technology. One of the projects is Confidential. It is a virtual editor that was specially developed so that any non-programmer user would be able to use it without any problems. Recently, an amazingly great technology has occurred in the market, and it has replaced the old traditional process of handling the contracts and agreements. 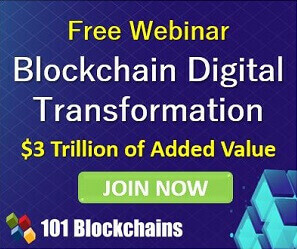 This is the new blockchain technology along with its new smart contracts blockchain. 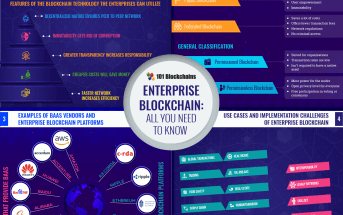 Welcome to the world of blockchain technology and its smart contracts. At first, it was mainly created to maintain the Bitcoin cryptocurrency. But, soon after, the developers realize how potential the technology can be to replace the traditional record storing system. There’s also a cryptocurrency named Ethereum. They also considered Ethereum as the future for the contracts technology with its exclusive blockchain platform. The blockchain is an enormous digital ledger of transactions. This ledger can keep a record of anything important with the explicit details. Besides, you can use this to keep records of financial accounts, ownership activities, claims, birth and death certificates, medical procedures and other important things which computer code can record. Chapter 13: 6 Smart Contract Platforms that Would Amaze You for Sure! Okay, so let’s start with the very beginning of the story of Smart Contracts. Ethereum would get the praise for developing such an amazing invention. Well, to speak the truth, Ethereum with their token ERC-20 and Smart Contract can call themselves the best start-ups of the twentieth century. Being the pioneer, Ethereum holds the position of the market leader when we are talking about Smart Contracts. The Ethereum platform started their journey back in 2015. Since the beginning of their journey, they have evolved a lot and faced difficulties in almost every single phase. Now there are Smart Contracts for about everything, from e-sports to ICOs. Undoubtedly, one of the main reasons for them being on the top would be their amazingly strong support and wonderful community. They have defined a set of rules and regulations to maintain the contracts and integrity of the blockchain technology. Why people trust Ethereum? Well, their policies are simple and not risky at all. Another, major reason for calling them the king would be their dependability. With the highest amount of market capitalization, there are without any doubt on top of their form. Moreover, Ethereum has developed their very own programming language – Solidity. While Solidity is simple and very easy to pick up, not everyone knows about much about Solidity. You could say it is one of the biggest risks for Ethereum. As we were saying, Ethereum had hit quite some bumps along the road. First of all their security system had some serious flaws. A report says that over 34,000 Smart Contracts have serious bugs. With the increasing popularity of Ethereum, the cyber-attacks have automatically increased. We are not sure when Ethereum will take a major hit from these attacks. No setup cost required. Anyone can join the platform. The widely accepted ERC-20 token is available. Has their programming language for Smart Contracts naming Solidity. Simple guidelines are available for the developers and coders. Users can enjoy the wide usability of Ethereum. A bit more expensive than the competitor platforms. Hyperledger Fabric can be said the biggest opponent of Ethereum, the market leader. 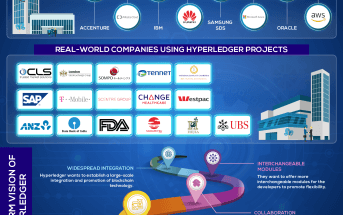 The Hyperledger project also began in 2015. Well, technically later than Ethereum. They began their journey in the late of that year, in December. Numerous frameworks have been already developed under the Hyperledger project naming – Burrow, Fabric, Sawtooth, and Indy. IBM is the co-developer of Hyperledger. So, we expected them to be a tough competitor of Ethereum. Indeed they have proven to be their toughest competitor. Regarding the safety and security issue, they are less vulnerable compared to Ethereum. How? Well, they have the Permissioned blockchain network. So, all the identities of the users are known to the company. Hyperledger is naturally less vulnerable to cyber-attacks and online crimes. It has some drawbacks. First of all, they don’t have their own token. This limits the kind of Smart Contracts available on the platform. Permissioned networks ensure better protection. Wide range of programming languages available. Limitation on which kind of Smart Contracts are available. If we were to share the list of blockchain network based on security, Nem would obviously come on the top of the list. Even their journey started in March 2015. Well, you could tell 2015 is the prime time of all the Smart Contracts. Nem uses Java. Java is one of the most popular and commonly used programming languages. So, you will not have to learn Solidity to be a developer. Your knowledge of Java is more than enough. The release of Catapult and Mijin 2.0 update made the platform even more secured. Compared to Ethereum’s 15 transactions per second, Nem can handle up to 100 per second. The support community is not strong enough. Not many tools and resources available. Stellar is the oldest Smart Contract blockchain platform out there. Their story started in 2014. Recently, a lot of big names in the market announced that they would use the Stellar platform in their system. Well, things escalated after IBM and KlickEx partnership with Stellar. Now they are calling themselves the better way to do cross-border transactions, especially in the South Pacific. Stellar is way simpler and more user-friendly platform compared to Ethereum. They mainly focus on ICOs and Smart Contracts. Moreover, there are fewer reports of attacks and security issues in the Stella20Smartr platform. Simpler platform and enhanced performance. 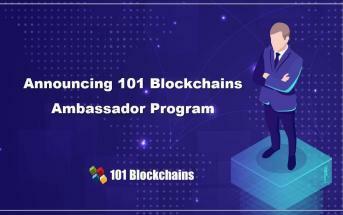 Supported by IBM and KlickEx. Cannot handle more complex Smart Contract development. First a trivia! NEO is often called the “New Ethereum” or “Ethereum of China.” Why? NEO is basically Ethereum but way better and faster. They believe in establishing a “Smart Economy” in the market with a distributed network system. A Smart Economy is a Smart Contract with digital assets and digital identity. The idea is innovative. Moreover, NEO has back up from the Chinese government, Microsoft and IBM. So, NEO is here to make an impact, of that, we can be sure of. Can handle 10,000 transactions per second. Regulated by the Chinese government. So, it’s not truly decentralized. NXT came to the scene in 2013. They are actually older than Steller and Ethereum. They had a vision to create an open platform that developers use to create whatever application they want to develop. As well as they will provide payment system users can rely on. Some of the people were saying that NXT is too old to handle the competition. But they came again with bang time! With their launch of Ardor the NXT 2.0, they are again creating buzz not because NXT is too old, but because it is such a fine-tuned, time proven blockchain full of built in features. They have tons of features and add-ons that make them really appealing. NXT allows you to move your assets freely without the hassle of the traditional system by signing bonds and complicated processes. The marketplace helps eager buying and selling parties together. Such act totally resolves the need of a third eye. Actually, they provide a different way to bring the parties together. The selling party provides a download link to the product or service they want to offer. Buyer can use the link to get the benefit. As simple as that. NXT has a cloud storage facility for the users. The cloud is secured from hackers and cyber attacks unlike the common cloud storages available. NXT also offer the users the opportunity to create their very own cryptocurrency. Can you believe it? Your very own monetary system. You could even shuffle coins. 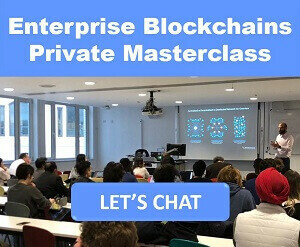 Many big names in the blockchain industry don’t offer such an offer for the users. Check out this table to be clear about the 6 best Smart Contract platforms. Chapter 15: Cyber-Attacks and Hackers: How Smart Are Contracts Truly? A Decentralized Autonomous Organization is better known as DAO. You could call them a great application of Smart Contracts of Ethereum. The concept is really practical and solves a lot of problems for organizations that we have these days. A DAO is a truly decentralized company model. Without any ruling body, the organization can run smoothly. But, a security breach on June 18, 2018. shocked us. The newborn “Child DAO” was hacked. The officials at Ethereum noticed that Ether was moving around from DAO. Moreover, the balance of Ether started falling. Ethereum lost 3.6 ETH because of this security breach. At that point, 3.6 million ETH was worth $70 million. Ethereum acted fast to mitigate such loss. The first action they took was a standard 28 days soft fork. Such soft would identify the transactions made from DAO and blacklist them. But the situation was out of hand they voted for a hard fork. Hard forks can return the ETH stolen from hack to refund the smart contracts. Their smart decision reduced the impact for sure but could not undo the fact of security issues of Ethereum. Wallets are pretty common things for cryptocurrency management. Parity developed a wallet that allows multi-signature. These wallets need multiple digital signatures before Ethereum could be transferred. But parity Multi-sig Wallet v1.5 had some serious vulnerability issues. Some hackers took advantage of it. On July 18, 2017, the world witnesses the second time Ethereum got a security breach. This time hackers robbed off 150,000 ETH. The amount equates to $30 Million. But how? That’s the big question. The attackers used 2 transactions to the victimized contracts. The first transaction would take over the Multi-sig ownership. The second one will flush out the funds. To extract the constructor logic to the library, they used the delegatecall function. After that, anyone could call the library and make changes. The attackers then called the initWallet function to obtain the ownership of the contract. That’s how the attackers stole about $30 Million. Parity Wallet got into scandal twice in fact. In this second scandal, a user named devops199 accidentally froze the Parity Wallet and destroyed $300 Million (About 500,000 ETH). It happened at the beginning of November 2017.
devops199 after the incident commented on a thread that it was his doing and “accidentally killed it.” devops199 apparently have an empty GitHub account. We are still not sure of its nature. It could an accident or maybe an intentional attack, who knows? So, how did devops199 hacked it? He basically used two functions – initWallet() function and the kill() function. He called initWallet() function to own the library that and then used the kill() function to destroy the library. He asked for an apology but that wouldn’t help to recover the lost 500K ETH. Well, researchers believe that the core problem is with codes written in Solidity. What if a blockchain company losses money due to hackers and cyber-attacks? Well, such an incident took place. Bancor, crypto company lost about $23.5 million currencies. Among them, 12.5 million was ETH, 1 million was Pundi X, and 10 million was Bancor currency named BNT. Bancor is still trying to recover the amount. They have already taken measures so that the hackers cannot liquidate the amount they stole. But there has been no sign of hearing any good news. It’s time the world took a leap and make a better system to outsmart the older traditional systems. Smart Contracts can bring revolutionary changes to the very way we do business right now. Yes, there are still many flaws and lots of risks, but it’s a great and positive start to a new era. The unique features of the Smart Contracts make the system so lucrative and appealing. We are talking about features like immutability and distributed network system. But always remember, the whole system depends on trust between the concerning parties. But we can easily assume something now – Smart Contract is the future. We believe over the time; the system will be polished and free from all the flaws within. Still, do you want to know more about all the exciting news and articles on blockchain technology? Subscribe to our newsletter and get ahead of the trend line! 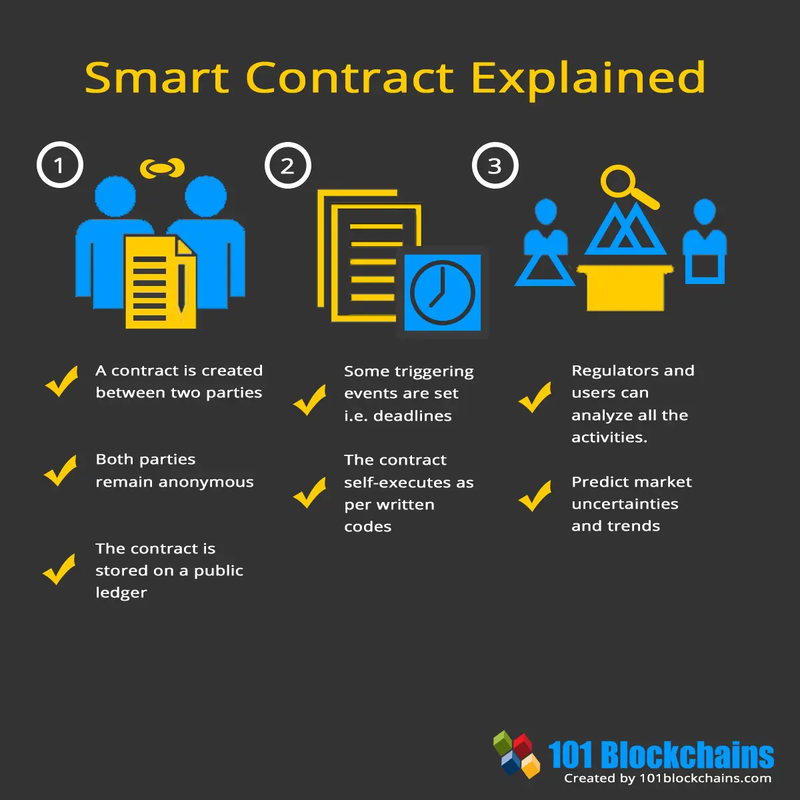 What a useful guide to Smart Contracts! And this information is valuable and balanced. Of course, I have partiality to NXT and Ardor and am thrilled that they are mentioned with the attention they deserve. NTX is probably the most proven and stable blockchain! I’m certain there are many who are also grateful for the time you have put into this research and article!